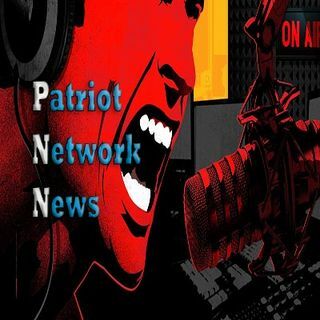 Welcome to Patriot Network News around the world an independently produced, politically INCORRECT Talk Show Network taking political issues a step further beyond just politics. Christian Freeman current events and Headline News! PATRIOT NETWORK NEWS is an independently produced, politically INCORRECT Talk Show that takes political issues a step further beyond just politics by breaching the wall of separation between Church and State. We have always believed there is no such separation, pointing to the historical fact that when you examine the various religions ... See More that make up the world population you see a direct correlation between freedom and or oppression based on these belief systems. We hold the belief that the spirituality of a nation determines their morality, prosperity and happiness or lack of it. Our vision is to be recognized as the most controversial and provocative Talk Show on the airways. We intend to leave no stone unturned, and will hold no issue sacred. We will address the actions of this nation by all who claim to have America’s well being at heart while showing the opposite, whether it be a politician, activist, religious leader or a simple citizen for we believe the time has come for self-examination and where necessary repentance and reform. Our guests will be from all walks of life and beliefs. We will respect all but we will defend adamantly Judeo-Christian beliefs which we believe this nation was founded on and remains the necessary foundation for its survival. With Zeeda! One of the great advantages of viewing the Christian faith from a Jewish perspective is the door it opens for looking at things from a different angle--for asking questions one would otherwise never ask. I would like to share with you my quest as it relates to the Lord's Table. I hope to be able to stimulate your ... See More thinking and perhaps together we can move further in pursuit of the truth with scripture and Prophecy of End Times and the Messianic Age. With Zeeda Andrews and Ben Pam “THE AMERICAN VOICE” is an independently produced, politically INCORRECT Talk Show.“The AMERICAN VOICE” takes political issues a step further beyond just politics by breaching the wall of separation between Church and State. We have always believed there is no such separation, pointing to the historical ... See More fact that when you examine the various religions that make up the world population you see a direct correlation between freedom and or oppression based on these belief systems. We hold the belief that the spirituality of a nation determines their morality, prosperity and happiness or lack of it. “The AMERICAN VOICE” is one of the most controversial and provocative Talk Show on the airways. We intend to leave no stone unturned, and will hold no issue sacred. We will address the actions of this nation by all who claim to have America’s well being at heart while showing the opposite, whether it be a politician, activist, religious leader or a simple citizen for we believe the time has come for self-examination and where necessary repentance and reform. Our guests will be from all walks of life and beliefs. We will respect all but we will defend adamantly Judeo-Christian beliefs which we believe this nation was founded on and remains the necessary foundation for its survival. THE RUTHIE REPORT addresses illegal immigration with week to week news with commentary to keep everyone in the loop and outstanding Guests. Ruthie, the Host of The Ruthie Report is the President of Minnesotans Seeking Immigration Reform. She is the State Coordinator for The Remembrance Project and a State Coordinator for Federation or ... See More American Immigration Reform (FAIR), A Texas Border Volunteer Member and an Advocate and Member of the Advisory Committee for Law Enforcement Officers Advocates Council. When I talk about “Collapse of America”, I am talking about a process. Collapse is not a singular event; it is an ongoing series of events. The U.S. has been in the middle of a collapse since 2008. The end of this collapse will come when the final economic bubble propping up our ... See More system has burst and the process of rebuilding begins. The most important questions are, WHO will do the rebuilding? The good news is that the answer is written in prophecy. I am not talking about doom and gloom I am talking about America coming into her fullness of greatness.